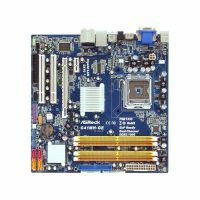 ASROCK G41MH-GE G41/LGA775 - описание. * DDR2 533 is supported with FSB 533 CPU. * The shared memory size is dynamically controlled by VGA driver, and the Max. shared memory size will be available only when 4GB or more memory is installed under 64-bit OS.